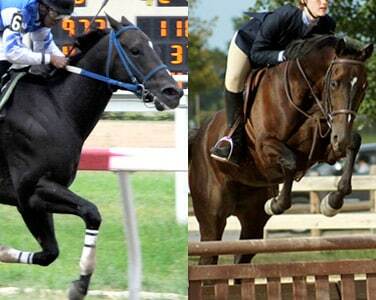 The care of retired Pennsylvania race horses. New Start was created by the board of directors of the Pennsylvania Horsemen's Benevolent and Protective Association (PA HBPA). New Start's Adoption Committee is charged with finding qualified homes for horses that are retired from racing at Penn National Race Course. The program is funded by a $10 dues assessment on each race starter at Penn National. Horses that race or train at Penn National are eligible for the program if they meet New Start's requirements. To learn more about New Start, click here. "New Start's mission is to place our racehorses, who have been retired from Penn National Race Course, with trusted foster farms who will then adopt out the horses to caring, knowledgeable horse people who can provide safe, enduring homes with suitable care, shelter and paddock space." - New Start. PA HBPA Racehorse Rehoming. Follow us on social media! You don't want to miss any exciting events!